"One of EUROPE's Top Tech Start-ups"
Parx developed a technology that departs from biomimicry and that is making use of a biocompatible, bodies own trace element to make polymers resistant to bacteria without migration. Biomimicry is the science and art of imitating the best biological models, systems and elements in nature to invent and improve human applications and make them more sustainable. With this patented technology we develop antibacterial/antimicrobial and anti-biofilm plastic and polymer. It is like an immune system that has an efficacy of 99,9% or more without any leaching substance. The technology becomes an inert/intrinsic part of the material and improves the mechanical/physical property of the material making it more resistant. The technology is not consumed and does not leach out and so it last throughout the entire lifetime of the product without fading away. All other todays available antibacterial technologies make use of heavy metals, nano-materials and other toxic chemicals, Roughly all of these technologies work because of a migrating substance. They have a substance that leaches out of the plastic or polymer to kill bacteria but... these toxic substances will also end up in our environment, in our oceans, on your food, and in your body. Parx has done extensive biomimetic research in cooperation with renown universities and has been able to develop a unique way to create Sanipolymers™. Our technology is based on biomimicry. It is derived from nature. Nature can do amazing things, so why not make use of that to create sustainable solutions. Invited by the World Economic Forum to join and participate in the Annul Meeting of the New Champions. The Parx technology was identified as an innovation with the likely long-term significance. According to the European Commission in the pestigious Tech All Stars program. Parx was selected as one of the 200 top Dutch innovations to present at the Innovation Expo during the Dutch presendency of the European Committe. 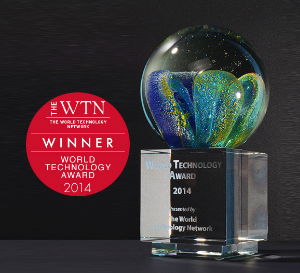 Parx has been recognized as a Red Herring Europe winner for its innovative technology. The technology of Parx featured the Dutch magazine Elsevier. Elsevier is an academic publishing company that publishes medical and scientific literature. The article is written by Simon Rozendaal honorary member of the Royal Netherlands Chemical Society. What are the benefits of a more hygienic surface? Plastic-free fruits and vegetables in supermarkets are a topical matter today and we feel that is a good thing. Do we really need 4 apples on a cardboard bowl with a plastic wrap and additional plastic labeling? These products present beautifully in supermarkets as a ‘naked’ product. This is what Alco Designs in USA has been doing for many years with many of the leading US retailers. The patent application process that started off by a filing by Parx Plastics NV of a PCT (Patented Cooperation Treaty) has been fully completed. By the receipt of the official certificates the national patent application processes for the protection of a Parx Plastics NV technology in USA and China, has been fully completed. The patents are granted for the USA and the China market. In-vivo trials incorporating the Parx antimicrobial and antibiofilm technology show significant benefits of the technology in dental applications for example in contact with damaged gums, as it is delivering fast(er) healing after prosthetic surgery, and in contact with teeth, as it is preventing plaque build-up. This technology has the potential to change the world of dentistry and seriously reduce infection risks associated with these procedures. Creating floor tiles through a rather new technology referred to as PS Micro foam technology delivers a very suitable endproduct that can be used for floor tiles or panels. And now with the Parx Plastics technology integrated during the manufacturing process the materials have an improved intrinsic resistance against bacteria and mildew with a performance of Log 5.2 (99,999%) against Staphylococcus aureus and Log 2 (99%) against E.coli. Sign-up to receive news from Parx.